In the College of Arts and Sciences. The Department of Romance Studies offers courses in French and Francophone, Italian, Spanish and Latin American, and Luso-Brazilian literatures, cultures, and philosophies; and French, Italian, Spanish, Polish, and Portuguese languages. Through its course offerings and opportunities for independent study, the department seeks to encourage study of the interactions of the Romance literatures among themselves, with other literatures, and with other fields of inquiry. In some years, the department also offers courses in Czech, Hungarian, Modern Greek, and Romanian. G. Aching, T. Alkire, L. Dubreuil, F. Glidja, M. Greenberg, C. Howie, K. Long, T. McNulty, C. Ménard, M. Molinié, D. Tissot, T. Toréa, E. Traverso, M. C. Vallois. Emeriti: J. Béreaud, A. Colby-Hall, N. Furman, D. I. Grossvogel, R. Klein, P. Lewis. Adjunct Professor: A. Berger. The French major prepares students to engage with the literatures and cultures of the French-speaking world. Along the way, students will develop proficiency in oral, aural, and written French, while becoming astute critical readers and thinkers in both French and English. The major consists of nine courses at the FREN 2095-level and higher. Either FREN 2060 - [French Intermediate Reading and Writing] or FREN 2090 - French Intermediate Composition and Conversation I may serve as the prerequisite. Students may declare the major anytime after completing one of these two courses or anytime after placing into a more advanced French course. Required for the major are: FREN 2310 - Introduction to French and Francophone Literature and Culture (for students who have not already taken an equivalent course), at least one course at the 4000-level, and one course on the Francophone world beyond France. Students are welcome to apply up to two Cornell University courses from outside the Department of Romance Studies (e.g., courses in Comparative Literature, History, History of Art) toward the French major, provided that 50% of the content of those courses deals directly with France or the Francophone world. Students are also encouraged to study abroad: up to three courses from an institution other than Cornell University (such as EDUCO in Paris) may be counted toward the French major, provided that 50% of the content of these courses, again, deals directly with France or the Francophone world. (Merely being taught in French is not, on its own, a sufficient criterion for a course taken abroad to count for the French major.) The minimum grade for a course to be applied to the French major is B-. None of the courses applied to the French major may be taken for S/U grades. Students are admitted to the major by the Director of Undergraduate Studies, who will then assign an advisor suited to each student’s particular interests. The honors program encourages well-qualified students majoring in French literature and culture to do independent work in French beyond the required course work for the major. The preparation of the senior honors essay, generally spread over two semesters, provides a unique learning opportunity, since it allows for wide reading and extensive rewriting to a degree not possible in the case of course papers. To be eligible for honors, students must have a general grade point average of at least 3.00 and a grade point average of at least 3.5 in the French major. No special seminars or courses are required of honors students, but they will have regular meetings with the faculty advisors who have agreed to supervise their work. They may receive course credit by enrolling in FREN 4290 –FREN 4300 , but these independent study courses must be taken in addition to the courses that meet the minimum requirements for the major. At the end of the senior year, each honors student is examined orally on the honors essay by a jury consisting of his or her faculty advisor and two other faculty members. The senior essay is to be made available for reading by the jury on or before April 15. The awarding of honors is determined by the student’s grades in the major and the quality of the honors essay. The French minor is designed to give students pursuing other majors the opportunity to engage with and reflect upon Francophone literary, philosophical, and visual culture. The prerequisite for the minor is any 2000-level course conducted in French. The minor then consists of five courses on French or Francophone topics, which in the Department of Romance Studies must be taken at the FREN 2095-level and higher. Students may apply up to two courses from abroad or from another institution toward a French minor. Only one of the five courses required for the French minor may be taken for S/U grades; the minimum grade is otherwise B-. French majors or other interested students may study in France for one or two semesters during their junior year. Opting for one of several study-abroad plans recognized by the Department of Romance Studies facilitates the transfer of credit. Information about these plans is available from the Director of Undergraduate Studies. 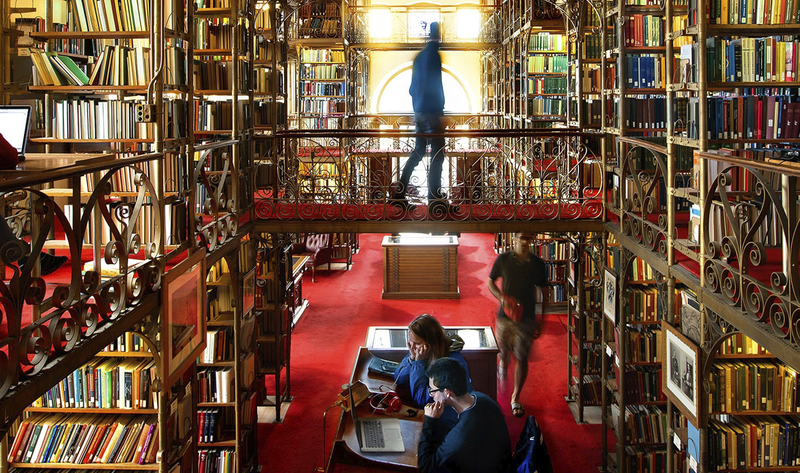 Students must be Cornell undergraduates with a strong academic record. The minimum French preparation is the completion of FREN 2095 or its equivalent in advanced credit or placement by the Cornell CASE examination. Taking a 3000-level course in the Department of Romance Studies is, however, highly recommended. Students interested in studying in France are encouraged to consider the special benefits offered by EDUCO, the program in Paris cosponsored by Cornell, Emory, Tulane, and Duke Universities. EDUCO offers advanced students a challenging course of study and the experience of total immersion in French life and culture in Paris. Participants in this program may spend the year or the semester as fully matriculated students at the Universities of Paris VII or IV and other institutions of higher learning in Paris, including the possibility of study at the Institut d’Etudes des Sciences Politiques (Sciences Po), selecting courses in many fields from the regular university course offerings. Students begin the academic year with an intensive three-week orientation in French history, society, and daily life. While it is possible to enroll in the EDUCO Program for one semester, admission will be offered first to students planning to study abroad for the full academic year. Up to 3 courses taken abroad may count toward the French major. EDUCO maintains a center in Paris with full support staff. The resident director, chosen annually from the Cornell, Emory, Tulane, and Duke faculties, teaches a special seminar each semester, provides academic advice, and helps ensure the quality of the courses. The center, which includes a small library and word-processing facilities, is regularly used by students for special tutorials, seminars, and lectures, as well as informal gatherings. The major in Italian at Cornell trains students in both the language and the cultural context of Italy. Students gain proficiency in speaking, writing, listening and reading in Italian and learn about Italian culture and literature across different historical periods, different media, and different regions. Students learn to perform close readings, providing the relevant historical contexts for the most significant Italian cultural artifacts across the country’s eight-hundred-year history. Finally, students develop the ability to form critical judgments on Italian cultural works, while having learned to appreciate and evaluate cultural and literary expressions according to the varying modes of perceiving, experiencing, and understanding related to Italian culture. Students must take ITAL 2202 - Italian IV (or equivalent course). Students must take ITAL 2900 - Perspectives in Italian Culture (or equivalent course), offered in English in Spring; OR ITAL 2204 - The Cinematic Eye of Italy (or equivalent course). Students who elect to take both of these classes may count them both toward the total of eight courses required for the major. Note that Ital 2900 has no prerequisites and may be taken at any time. Students must take ITAL 2203 - Languages/Literatures/Identities (or equivalent course), offered in Italian in Fall. Students must take at least five electives at the 2000-level or above from an approved list of courses offered in Romance Studies or other departments such as History, Architecture, History of Art, Government, Sociology, and so on. We strongly urge majors to take as many of these electives as possible in Italian. At least one of these five electives must focus on a period prior to the 1800s, and no more than three of these five electives may be taken in English. No more than three of the total of eight courses toward the major may be taken abroad or at an institution other than Cornell. The minimum grade for a course to be applied toward the Italian major is B-. No courses taken for S/U grades may be applied toward the major. Students must take ITAL 2900 - Perspectives in Italian Culture (or equivalent course), offered in English in Spring; OR ITAL 2204 - The Cinematic Eye of Italy (or equivalent course). Students who elect to take both of these classes may count them both toward the total of five classes required for the minor. Note that Ital 2900 has no prerequisites and may be taken at any time. Students must take at least three other classes in Italian Studies. Of these at least one, but ideally more than one, must be offered in Italian (literature/culture). The three electives may be chosen from an approved list of courses offered in Romance Studies or other departments such as History, Architecture, History of Art, Government, Sociology, and so on. We strongly urge students to consider ITAL 2203 - Languages/Literatures/Identities as one of the electives. No more than two of these five courses for the minor may be taken abroad or at an institution other than Cornell. Only one of the five courses required for the Italian minor may be taken for S/U grades; the minimum grade is otherwise B-. Students may declare the minor at any time. Students wishing to enroll in the minor must register their intent by contacting the Director of Undergraduate Studies in Italian, who will assign a faculty advisor to students. Italian faculty members strongly encourage students to consider studying abroad in Italy. Students will have the opportunity to immerse themselves in Italian and gain a singular perspective on the Italian cultural context. Students are urged to consider the Bologna Consortial Studies Program (BCSP), of which Cornell is an associated member. BCSP offers qualified undergraduate students an opportunity to study for a full academic year or a semester at the University of Bologna for credit. During each semester of the academic year, which begins in October and extends through June, BCSP students enroll in one or two regular University of Bologna courses with Italian students. Students may also take special courses in Italian literature, language, art history, film studies, and contemporary politics. In order to complete a minor in Portuguese and Brazilian Studies, students must take at least five courses (with each course taken for a minimum of 3 credits) by selecting courses from the Portuguese and Brazilian Studies Minor Course List (see below) or in consultation with the Director of Undergraduate Studies. Among these courses, the core course PORT 2800 - Perspectives on Brazil and one course at the advanced level (3000 and above) are required. A minimum grade of B- will be required for courses to count toward the minor. Courses on Latin America or other topics with a Brazilian, Portuguese, or Lusophone African component may be counted toward the credit requirement upon consultation with the Director of Undergraduate Studies. Language competence must be demonstrated by successfully completing PORT 2020 or its equivalent. Portuguese language courses below the 2020 level cannot be applied toward the minor. Please note that courses taken as part of a study abroad program in Brazil or Portugal (maximum two courses) may count towards meeting the above requirements. Students wishing to enroll in the minor must register their intent by contacting the Director of Undergraduate Studies who will assign a faculty advisor. PORT 2800 - Perspectives on Brazil : Offered every fall semester through the Romance Studies Department, this course focuses on research in various disciplines related to Brazil, taking into account recent cultural, political, economic, and social trends. Themes include cinema, music, literature, race class and gender, and twentieth-century Brazilian history. Any course coded PORT and numbered 2800 and above. The Spanish major is designed to give students proficiency in the oral and written language, to acquaint them with Hispanic and Lusophone cultures, and to develop their skills in literary and linguistic analysis. Satisfactory completion of the major should enable students to meet language and literature requirements for teaching, to continue with graduate work in Spanish, Portuguese or other appropriate disciplines, and to satisfy standards for acceptance into the training programs of the government, social agencies, and business concerns. A Spanish major combined with another discipline may also allow a student to undertake preprofessional training for graduate study in law or medicine. Students interested in the major are encouraged to seek faculty advice as early as possible. For acceptance into the major, students should consult the Director of Undergraduate Studies, who will admit them to the major, and assign them an advisor from the Spanish and Portuguese faculty. Spanish majors will then work out a plan of study in consultation with their advisors. Spanish majors have great flexibility in designing their programs of study and areas of concentration. Previous training and interests as well as vocational goals will be taken into account when the student’s program of course is determined. SPAN 2095 is a prerequisite to entering the major in Spanish. Honors in Spanish may be achieved by students who want to undertake guided independent reading and research in an area of their choice. Students in the senior year select a member of the Spanish faculty to supervise their work and direct the writing of their honors essay (see SPAN 4290 –SPAN 4300 ). Language competence must be demonstrated by successfully completing SPAN 2180 - Advanced Spanish Writing Workshop or SPAN 2130 - Advanced Spoken Spanish . In addition, students must take three elective courses. Among those electives, students are strongly encouraged to take at least one course at the advanced 3000- or 4000-level, and at least one must be a minimum 3-credit course taught in Spanish. No prerequisite coursework (including elementary and intermediate language courses at the 2095-level and lower) may be applied toward the elective requirement. The minimum grade for a course to be applied toward the Spanish minor is B-. No courses taken for S/U grades may be applied toward the minor. Students wishing to enroll in the minor must register their intent by contacting the Director of Undergraduate Studies, who will assign a faculty advisor to each student. Fall and Spring Semesters in Spain: Cornell and the University of Pennsylvania co-sponsor a program in Seville, Spain. Students enrolled in this program spend the first month before the semester begins in an orientation session at the University of Seville, where they take courses in Spanish language and culture and take advantage of special lectures and field trips. Once the semester begins, students enroll in regular classes at the University of Seville and at the program’s center facility. Center courses are designed for the program and include a seminar offered by the resident director, from the faculty of either Cornell or Pennsylvania. Other center courses typically include history of art, history of the Mediterranean region, a literature course, and Spanish composition and syntax. In Seville, students live in private homes and a rich array of cultural activities and excursions are organized every semester. Applicants are expected to have completed SPAN 2095 before departure. Completion of SPAN 2180 is highly recommended. Students are strongly encouraged to study abroad for the entire year rather than one semester. Students interested in the study abroad program should visit Cornell Abroad in 474 Uris Hall and see the Cornell Abroad website: visit sce.cornell.edu/ss/programs.php?v=MADRID&s=Overview. Summer Program in Madrid: A six-week intensive summer program in Madrid, designed to enhance language skills in a cultural context. The 4-credit courses offered satisfy the language requirement of Cornell’s College of Arts and Sciences, and SPAN 2230 may count toward the major/minor in Spanish. Courses taught exclusively by Cornell faculty, the courses are complemented by field trips in and outside Madrid. Interested students should contact Cornell’s Summer Program in B20 Day Hall and visit sce.cornell.edu/ss/programs.php?v=MADRID&s=Overview.